Daily care and attention is the best way to keep your skin healthy, glowing, and beautiful. Not only does that show in the way you look, it enhances the human touch by creating soft, supple skin. Starting and ending each day by cleansing, correcting, hydrating, and protecting your skin leads to a gorgeous complexion and a sterling countenance. You should also try to visit somewhere like Beauty on Park St for specialized treatments. You can care for your skin via external methods, like washing your face each morning, wearing moisturizer that protects your whole body from the sun’s rays, and removing makeup before bed. Additionally, you can drink water and practice other habits of responsible, sustainable nourishment – like healthy juices – that work on keeping your skin beautiful from the inside out. 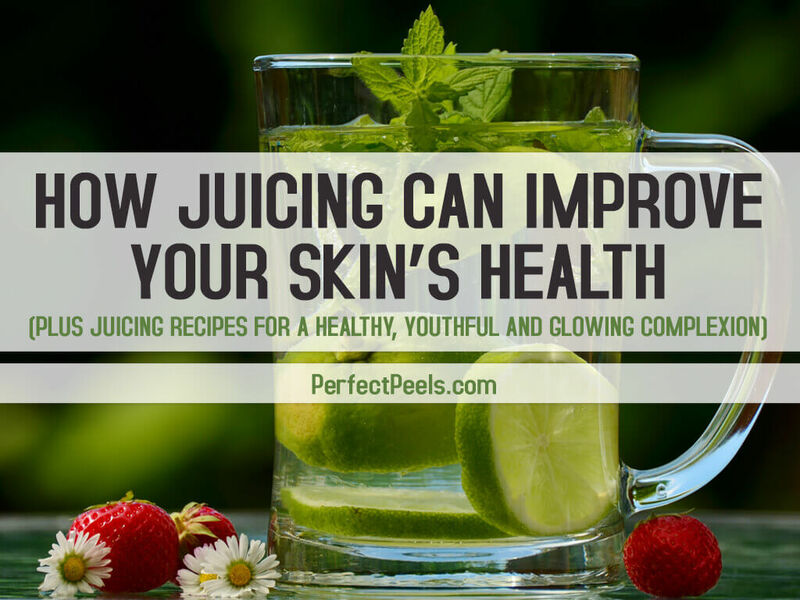 If you’re looking for simple yet powerful ways to enhance your appearance with skin that shines from the inside out, you’ll love the health and beauty benefits of juicing. Fresh juices are chock full of vitamins and minerals that improve your skin’s look and feel. While it isn’t a one-shot deal or a quick fix, juicing has look-good, feel-good antioxidant power that impact your skin in a few significant ways. It fills your liver with the right balance of vitamins and nutrients that rid your system of harmful toxins. Because your liver is your body’s filter, feeding it properly means reducing dull, dry skin, premature aging, and liver spots to reveal the healthy, glowing skin you’ve always wanted. Keep reading to discover the best juices, how to make them at home, and how they can contribute to the gorgeous skin you deserve. Cucumbers are very high in water, in fact, they are mostly water, and they contain vitamin C, and caffeic acid that helps soothe irritations and swelling of the skin, which is why cucumbers are often recommended to be placed over swollen eyes to get rid of puffiness and a fatigued look when you have not had a restful night’s sleep. Cucumber juice is very hydrating to improve skin moisture and being that vitamin C is one of the most important antioxidants, it can help your skin to maintain a youthful appearance. Carrots are extremely high in beta-carotene, which is a form of vitamin A. Beta carotene is perhaps one of the best antioxidants that prevents aging by reducing the degeneration of cells so you can maintain a youthful look. Vitamin A is also good for the growth of tissues, improved vision, healthy bones, and healthy teeth. The vitamin C you’ll find in carrots will increase the amount of collagen in the body and collagen improves skin’s elasticity to prevent wrinkles and deflect the typical signs of aging. Carrots are also high in potassium, which helps keep the electrolytes in the body balances, reduces acne, and increases the growth of healthy, new skin cells. Potassium can also relieve you of scarring as well as the dark spots so often seen in aged skin. Carrots help the liver get rid of toxins, which decreases the amount of acne you have on your skin. Kale is one of the leafy green cruciferous vegetables that will help you fight acne. Kale is a food that Is considered anti-inflammatory and very healthy for you with loads of vitamins C, K, A, E, B1, B2, B3, beta carotene, calcium, iron, phosphorus, magnesium, copper, lutein (a carotenoid), omega 6 fatty acids and omega 3 fatty acids. The vitamin A in kale will help repair and maintain the skin and the omega 3 fatty acids you find in kale will have anti-inflammatory properties. If you have skin conditions like acne, it may be because your colon isn’t moving as swiftly as it could. Juice up some kale to stimulate the bowels on a regular basis. Beets are extremely healthy for your skin. They are high in nutrients that clean both the liver and the blood. You need clean blood in order to have clear skin. Because beets are an extremely potent vegetable, use just half a beet as part of the juice you make. The micronutrients in beets that fight the aging properties of skin include potassium, iron, copper, vitamin C, niacin, magnesium, manganese, zinc, folic acid, and calcium. Caution: You cannot eat beets or drink juices containing beets if you have kidney stones. Parsley is an herb that is high in vitamin A and vitamin C. Because of this, it helps maintain a normal skin tone and clears up acne blemishes. Besides its advantages for the skin, it cleanses the kidneys, liver, and urinary tract. You’ll find high amounts of vitamin K in parsley, which improves the elasticity of the skin and increases the speed of wound healing. Ginger can be ground and juiced along with other healthy vegetables. It is a highly anti-inflammatory food that will help you fight acne blemishes. It also boosts your immune system so it fights off the bacteria that result in acne. Ginger is high in anti-aging antioxidants as well as potassium, manganese, magnesium, and vitamin B6. Watercress will purify the blood, which makes it an excellent juicing choice for the skin. It is high in sulfur, which is a component that will improve your skin’s complexion. Watercress is high in vitamin A, which is also good for your skin. Watercress will help your liver work better and is high in anti-oxidants that fight the aging process in your skin. It will give you plenty of the daily requirements of vitamin K, vitamin C, B vitamins, beta-carotene, calcium, folate, and iodine. Lemons belong to the citrus family, so they have lots of vitamin C, B vitamins, and citric acid. It purifies the blood, which in turn clears up your skin. It also helps the body rid itself of toxins as well as cleans the kidneys. Lemons are a great choice for juice as they are very low in sugar and add a lot of tangy flavor to vegetable juice blends. Besides lemons, you can brighten your skin with oranges, grapefruits, and limes. They are high in vitamin C that helps the amino acids proline and lysine turn into collagen. You need the vitamin C as well to fight off oxygen free radicals, which can damage both collagen and elastin, increasing the wrinkling of the skin. These red vegetables are high in the antioxidant called lycopene. Lycopene will help reduce the signs of aging of the skin by acting as a natural sunblock to protect the skin from the effects of UV radiation. It also increases the levels of collagen in the skin, reducing the appearance of wrinkles. Along with other dark, green vegetables, spinach is loaded with the anti-oxidant vitamin C, which can increase collagen levels. The anti-oxidant properties of spinach will fight against oxygen free radicals that helps prevent collagen from weakening. Spinach juices great, and has so many other health benefits that it really is a great choice in juicing. Berries like blueberries, raspberries, and black berries help scavenge for oxygen free radicals that can weaken collagen and can cause wrinkling of the skin. Berries are also high in free radical fighting antioxidants that are provide numerous anti-aging benefits for the body. You can spice up your juice with garlic, which is very high in sulfur. You need sulfur in order to make collagen in the body. Garlic is also high in taurine and lipoic acid, which are molecules that decrease collagen damage and increases collagen fibers. You can make use of just about any kind of cabbage in a juicer, including bok choy, choy sum, cannonball cabbage, early jersey cabbage, Portugal cabbage, red drumhead cabbage, Napa cabbage, and savoy cabbage. Cabbage contains many phytonutrients and antioxidants such as thiocyanates, lutein, isothiocyanates, zeaxanthin, and sulforaphane. These will hydrate the skin and will increase its elasticity. Green beans are very healthy for your skin. They contain hyaluronic acid, which fights aging of the skin and hold onto water so the skin is moisturized thereby reducing wrinkles and fine lines. 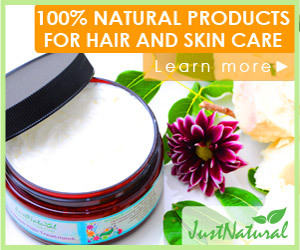 The skin is kept smooth and moist by the addition of hyaluronic acid. Beans also increase the synthesis of collagen and promote the growth of healthy skin. Your joints are healthier and your skin will be more toned. Hyaluronic acid is also important in the proliferation of healthy skin cells and in the migration of those cells to the outermost parts of the skin. Flaxseeds are high in omega 3 fatty acids that are healthful for the skin. You can substitute flaxseeds for walnuts to make your juice a little bit more substantial in texture. Walnuts are also high in omega 3 fatty acids. Omega 3 fatty acids result in an increase in collagen production so you won’t wrinkle as much and they also help decrease the chances that you will get skin cancer. For juicing, stir in 1 or 2 teaspoons of finely ground flaxseed to any juice blend drink and enjoy the benefits! These can be juiced along with other fruits and vegetable. They are rich in sulfur, which helps increase collagen production. Sulfur has been used historically for a variety of skin conditions. It reduces the oiliness of skin so that pores aren’t blocked and acne does not form from the blocked pores. Avocados are added to smoothies, as they are rich in omega 3 fatty acids. Avocados are also high in plant steroids that are known to decrease the appearance of old age spots. Avocado oil is high in vitamin E, which is an antioxidant that protects the skin from suffering the damaging effects of oxygen free radicals. You need omega 3 fatty acids to increase the production of collagen so that you can have beautiful skin. Because avocado oil is oily, it is good for people who have damaged dry skin because it regenerates and rejuvenates skin cells that have been damaged by the elements. Add 1 teaspoon to your juice blend for good skin health. Hemp seeds help improve the radiance and firmness of skin and they are the only edible source of linoleic acid (GLA) that provides omega-6 fatty acids that are part of the membrane around skin cells. This protein rich plant food helps synthesize collagen and elastin to improve skin firmness and keep it looking supple. Ground hemp seeds can be easily added to juices and smoothies. Prunes are high in antioxidants that scavenge for oxygen free radicals that can result in premature aging of the skin. Prunes can be juiced along with other fruits or vegetables for some sweetness in the juice. You can make a variety of juices from the ingredients listed above. All of them will work together in order to keep away blemishes, fight wrinkles, and increase the plumpness and elasticity of the skin. Here are some recipes for juices that are especially good for the skin. Make sure to follow your juice’s instructions as to juicing speeds and best prep practices for particular fruits and vegetables. All fresh juices are best when drank right after juicing, but if storing use an airtight dark container and store for 2 days at the most. This is juice is high in beta-carotene from the carrots, but it also contains apples, which clear up the skin and add sweetness to the juice. This is a juice that works for any skin type. It contains parsley, which detoxifies the system and stimulates the lymph system to reduce water retention. The spinach has omega fatty acids (alpha-linolenic acid and linoleic acid), that helps skin glow. Green apples are better for the skin than red apples and will both tone and brighten the skin. This makes for a dark green juice that is sure to protect your skin from damage and keep it bright and toned. Pineapple is high in the enzyme bromelain, which is good for both the skin and for digestion. Bromelain is so good for the skin that it is often used as a topical agent in masks used to exfoliate and clear the skin. The cucumber and apple in the juice will purify the skin and increase the alkalinity and hydration of the tissues. The combination of ingredients acts as an anti-inflammatory, which will decrease the inflammation you often see with acne. It can also be applied as a facial to the skin. This juice is high in vitamin C and antioxidants, which protect the skin from the effects of oxygen free radicals. Optional: Stir in half a teaspoon of avocado oil to finished juice. This combination of vegetables will make your skin glow, and will free it of lines and wrinkles. It increases the collagen level of the skin and contains antioxidants, which fight oxygen free radicals intent on doing damage to the skin. Optional: Juice 1 hot pepper with above ingredients or add 1 teaspoon of dried cayenne pepper spice. This juice includes vitamin E rich vegetables that nourishes and moisturizes the skin. Optional: Stir in 1 teaspoon of very finely ground sunflower or sesame seeds to the finished juice to get more vitamin E.
This is an especially good juice for dry skin. It is high in vitamin C, which acts as an antioxidant to protect the skin from oxygen free radicals. These recipes will go a long way toward giving you skin that turns heads – including your own. You’ll be surprised and delighted with how easy it can be to banish dry, itchy, flaky skin, eliminate blemishes, and feel good all over with beneficial juicing. Juicing works because it offers a solution that’s more than skin deep. It starts to heal and repair your skin from the inside. On your next trip to the grocery store, load up on the fruits and veggies listed above. They’ll help you easily concoct juices that power your body for success and help you put your best foot – and your best face – forward.